Usage: It had been investigated as a potential treatment for obesity, diabetes, dyslipidemia and cardiovascular disease. GW501516 could be used by athletes as an ergogenic performance enhancing drug. GW-501516 is a unique medication officially classified as a PPAR receptor agonist (PPAR-RA). Research for this medication began in 1992 in a conjoined effort between GlaxoSmithKline (GSK) and Ligand Pharmaceuticals. Research into this product was set forth in an effort to provide treatment for various cardiovascular diseases, as well as diabetes, obesity and other conditions. It was soon discovered that the PPAR-RA was highly effective at enhancing endurance, but it was also shown to carry a high potential cost. It was discovered that GW-501516 increased the chances of cancer significantly, and as a result, GSK dropped all further research. However, the studies that produced cancerous results used doses of GW-501516 that were 500 to even 1000 times the amount that a human being would take. If cancer is a risk with standard dosing is unknown. GW-501516 binds to the PPAR receptor, specifically a group of nuclear receptors (sensors that detect thyroid and steroidal hormones in the body) that initiates the PGC-1a enzyme. This action leads to gene expression, specifically genes that revolve around energy expenditure.GW501516 (also known as GW-501,516, GW1516, GSK-516) is a PPAR& receptor agonist that was invented in a collaboration between Ligand Pharmaceuticals and GlaxoSmithKline in the 1990s, was entered into clinical development as a drug candidate for metabolic diseases and cardiovascular diseases, and was abandoned in 2007 because animal testing showed that the drug caused cancer to develop rapidly in several organs. The effects of GW-501516 are fairly significant and may be a welcomed addition to the stack for a performance athlete. Increased endurance may be the PPAR-RA's most incredible attribute. Those who use the medication will find they do not tire out as easily and can train harder and longer. The cardiovascular endurance that comes with GW-501516 is so strong it has been shown to do away with the cardio issues that surround the popular anabolic steroid Trenbolone. Many who use Trenbolone report breathing becomes a bit more difficult and that cardio becomes a more arduous task. GW-501516 seems to negate this negative effect when using Tren. The effects of GW-501516 also help tremendously with fat loss. If nothing else, you're able to perform your cardio more intensely and longer. Further, it doesn't carry any catabolic effect that is associated with many thermogenics or fat burners, meaning muscle loss due to use is of no concern. More importantly, GW-501516 has been shown to increase nutrient efficiency. Simply put, you make better use of the nutrients you're consuming. Those who use the compound will find increased levels of glucose uptake and fat stores reduced. The known side effects of GW-501516 primarily surround increasing the chances of cancer; however, it's not quite that cut and dry. Studies that showed increased cancer rates in rats used doses of the PPAR-RA far above and beyond what any human would take. Further, additional studies have shown GW-501516 decreased existing cancerous tumors and in effect cured the existing cancer. The truth behind the relationship with this drug and cancer is unknown at this time. Because there is a potential relationship between the medication and cancer, we may never know the truth as it's unlikely any major pharmacy group will undertake any additional study. Based on its positive attributes, GW-501516 may be one of the single best products an athlete could buy. However, although not an anabolic steroid, numerous sporting bodies have already banned it and it will show up in sports doping tests. But when it comes to the benefits, endurance and enhancing nutrient efficiency are two benefits that are hard to beat. It's hard to beat this into the head of many athletes, recovery, endurance and food itself are the three most important factors associated with making gains or improving performance, and GW-501516 does just that. Although the benefits of GW-501516 are undeniable, we are still left with the glaring possibility of use-induced cancer. Regardless of how much muscle you carry or how low your body fat is, cancer is going to ruin the physique you've built, not to mention your life. The odds of cancer, from looking at some of the studies that were done they do appear to be somewhat flawed, while others scream warning. It is truly hard to say what would happen if you were to try this drug, but there does appear to be a legitimate risk, and enough of one to cause a very large pharmaceutical giant to completely give up on what could have been a highly profitable drug had the cancer scare not existed.GW501516 (also known as GW-501,516, GW1516, GSK-516 and Endurobol)is a PPAR receptor. It activates the same pathways activated through exercise, including PPAR and AMP-activated protein kinase. It had been investigated as a potential treatment for obesity, diabetes, dyslipidemia and cardiovascular disease. GW501516 has a synergistic effect when combined with AICAR: the combination has been shown to significantly increase exercise endurance in animal studies more than either compound . An experimental drug meant to control lipids and increase the level of HDL, or good cholesterol, in the bloodstream. A cell-permeable, thiazolyl compound that acts as a potent, high affinity, PPARδ agonist. Exhibits selectivity for PPARδ compared to PPARα and PPARγ. Does not exibit any activity against other nuclear or non-nuclear receptors. Reported to increase cholesterol efflux and ABAC1 expression in macrophages, fibroblasts, and intestinal cells. There are two main uses with GW-501516. The first and most common use is that of increased endurance. GW has been banned for professional athletes due to the unfair advantage it provides to endurance athletes. Anyone want a drastic increase in endurance will find that GW truly shines in this aspect. It takes effect very quickly and the results can be staggering. A common dose of 10 mg day will provide a significant increase in endurance. Cardarine is used by athletes competing in many different sports. For instance, endurance athletes may increase exercise endurance by stacking this PPAR with the AMP analog drug AICAR, or run cardarine solo. As a result, they will have a greater ability to reach higher RPM's during their runs without hitting the maximum heart rate. This will allow the runner/cyclist/swimmer to cheat their maximum heart rates and go longer without getting winded, making this stack an incredible weapon to use in endurance sports. Actually, from personal experience I can tell that cardarine can knock over 30-45 seconds off a 5K time if used leading up to a race. GW-501516 is taken orally . The most common dosing range for this PPAR-RA is 10-15mg per day for 8 weeks. However , some reports state the medication needs to be used for 12 weeks for optimal results , with 20mg per day being well tolerated by most individuals . Not to say that there are none , but in the last 20 years no side effects have been seen by anyone studying the drug . GW501516 has not only been tested in healthy subjects , but also those with simulated "real life" habits (such as drinking alcoho l, stimulant narcotics , and the use of tobacco products) . It is uncertain if there are long term ramifications , but no research has been published stating otherwise . This is what makes Cardarine so incredibly popular and usable over long periods of time . In certain studies , there have even been signs showing the reversal of diabetes , obesity, Dyslipidemia and many other diseases . Good quality is one of our biggest secret to success; you can get the best quality and service from us. We have adequate stock so that we can deliver the products within 8 hours as soon as receiving the payment. Fast and discreet shipment will be arranged to pass Customs. Unique ways to ship 10g to100kg powders to your destination. 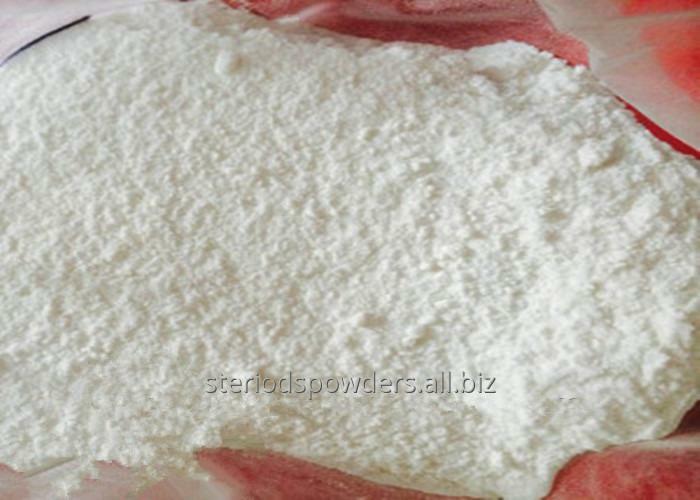 We offer melting powder into liquid service and ship the liquid in special bottles. Any questions or problems after receiving the product, please feel free to contact us. Problems would be solved immediately.